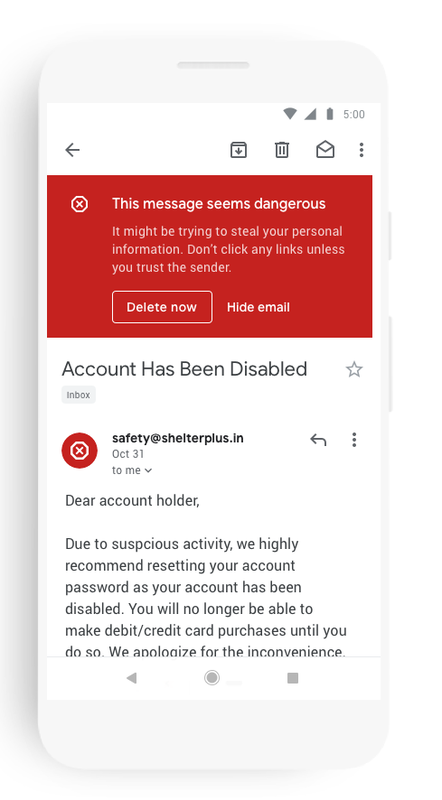 In addition to similar announcements we’ve recently made for Drive and Docs, Sheets, Slides, and Sites on the web, we’re now bringing a new look to Gmail on mobile, too. As part of the new design, you can quickly view attachments—like photos—without opening or scrolling through the conversation. 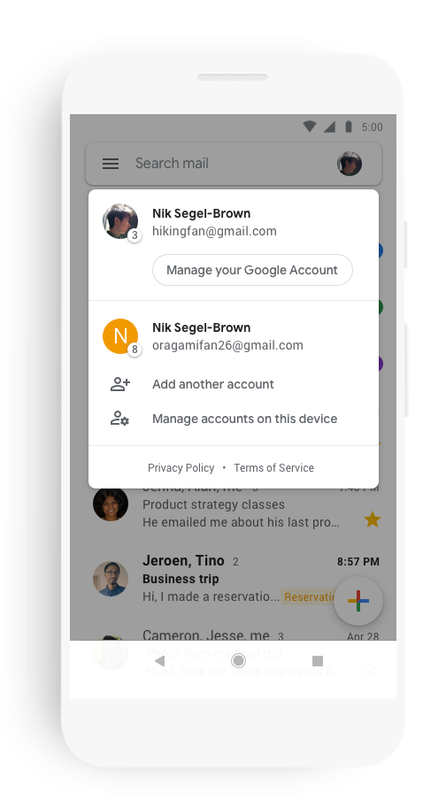 It’s also easier to switch between personal and work accounts, so you can access all of your emails without breaking a sweat. A more minimal use of color helps you focus on content and what's important to you. We’ve also replaced the search button with a more prominent search bar at the top of the screen. And just like on the web, you’ll get big, red warnings to alert you when something looks phish-y. 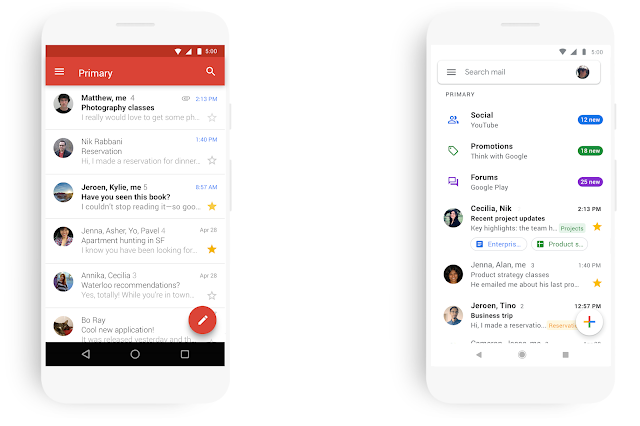 This update is part of a larger effort to bring the look and feel of our G Suite apps together as a whole, and always with ease-of-use in mind. End users: You'll see the changes coming to your Android and iOS devices over the coming weeks. We’ve already updated the web apps for Gmail, Drive, Calendar, and most recently Google Docs and Sites. In the coming weeks, you’ll see the new mobile design in Gmail on Android and iOS, with more G Suite mobile apps to follow later this year. This feature will be ON by default.